Girls can you imagine how amazing its to see clear skin immediately after waxing and then after a week or two hairs are back. I don't like hairy skin, well who does? 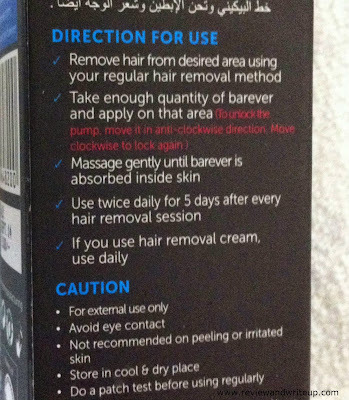 I was looking for something for reduction of hair growth. Lot of my friends suggested lazer treatment. but its so expensive. Then I came across Barever Natural Hair Inhibitor. 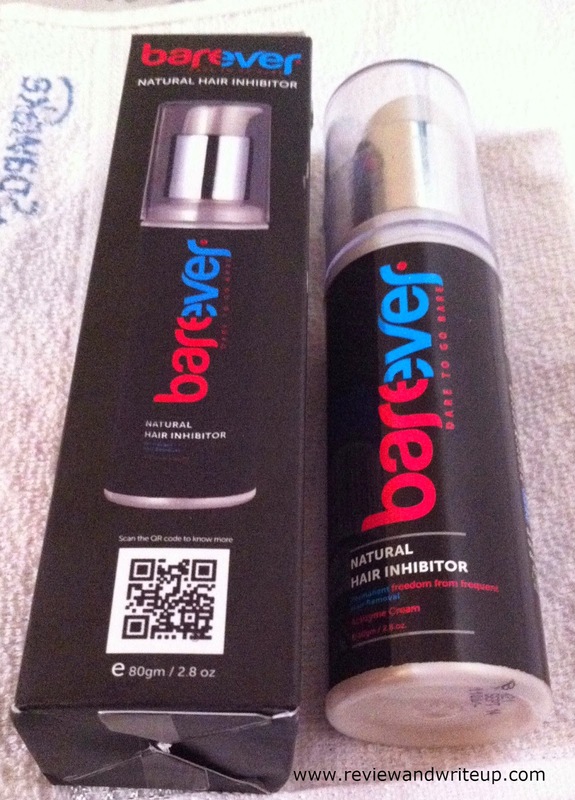 Today on R&W I am going to review Barever Natural Hair Inhibitor and share my experience with the product. About the Product - This is an innovative product of Wet & Dry Group. Packaging - Inhibitor comes in an attrative black smooth finish cardboard box. The cardboard box itself is quite sturdy. Inside box lies a cylindrical shape Inhibitor bottle with a dispenser. 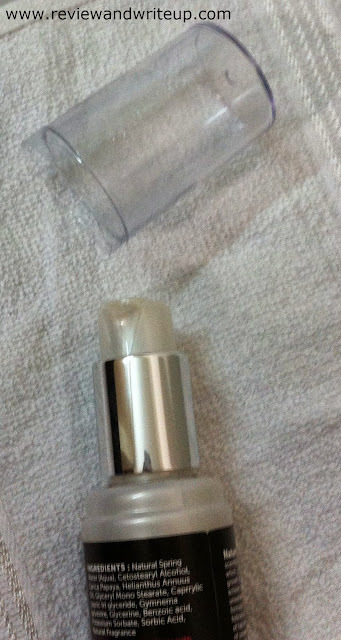 The pump is sealed with a transparent cap made of plastic. Packaging is neat and gives product an attractive look. Claims of brand - With its regular usage it minimizes hair growth by naturally reducing hair. It makes skin smoother. My Experience With the Product - I started using Inhibitor a month back. I tried it on my upper lips. I usually use waxing to clean my upper lips. 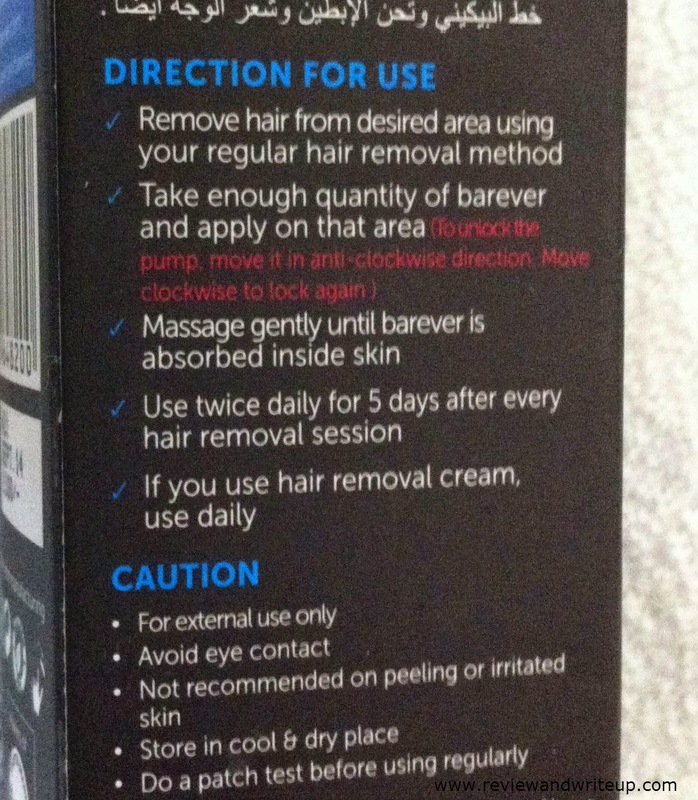 As indicated we need to use Bareever twice a day for five days if we wax the skin where we want to use Inhibitor. I would wash my face using my facewash, then i use to apply my regular cream leaving upper lips area. Then I use to massage upper lips area with Inhibitor. This process I repeated twice a day. Usually my upper lips hair use to appear within a week of cleaning but this time whole week, then next week passed and my upper lips stayed clean. No hair growth for fifteen days. I can't tell you how much happy I am. This product is like a blessing. 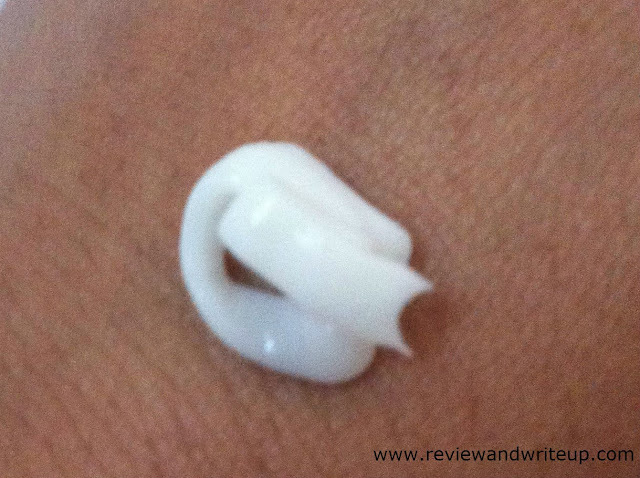 Since Inhibitor itself is quite moisturizing you will not need to apply any other moisturizer. I will also suggest not to mix it with any other cream. With my experience I can say that this will be helpful to girls who struggle on daily basis due to facial hair problems. This product is suitable for all skin types. I love the fact that this is made of natural ingredients like spring water. This is a unisex product and could be used by Men as well as women. 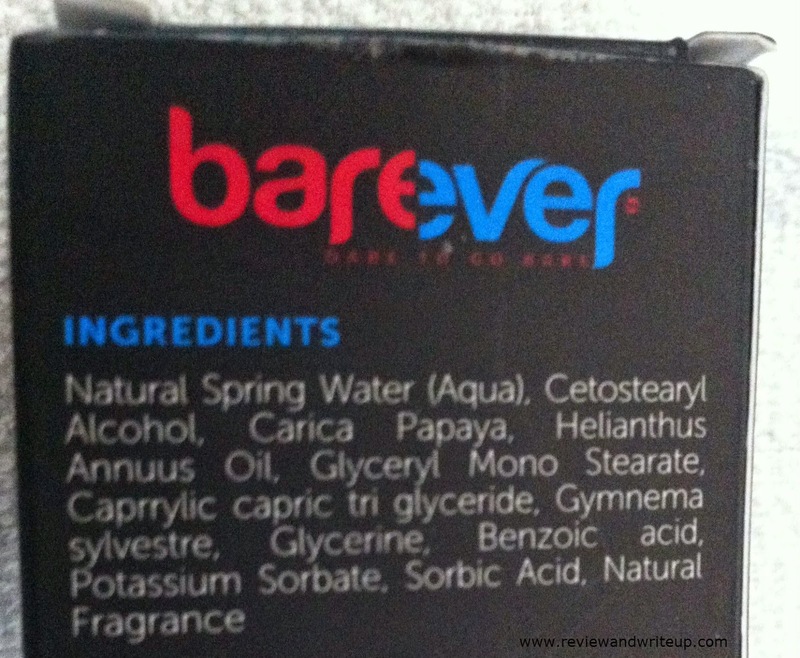 Brand claims that this product is safe to use on bikini line as well. Are you still doubtful? Let me tell you I haven't experienced any darkening of skin or irritation from day one of using this wonderful product. Travel friendly packaging. What i wish to change is its smell. I didn't like it at all. R&W Recommendation - Invest in this product ladies you will love it. When you are using it don't expect it to work overnight. It will take time but you will get expected results.